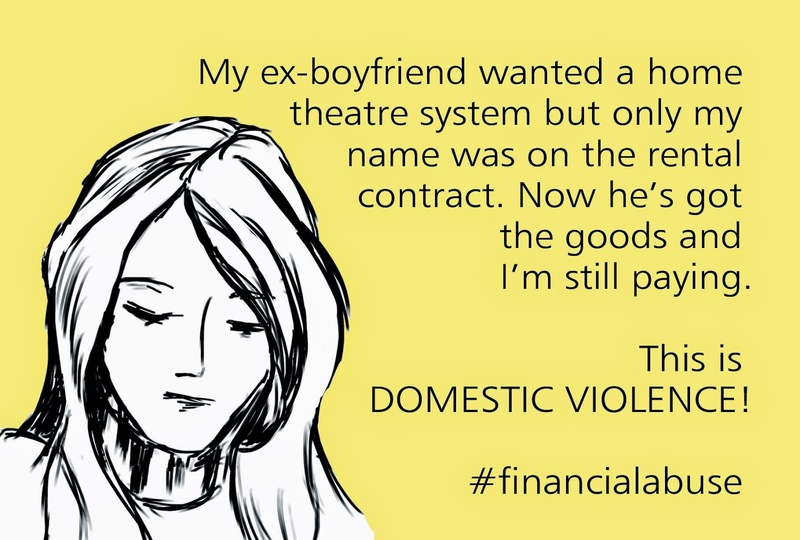 Financial abuse is a common tactic used by abusers to gain power and control in a relationship. The forms of financial abuse may be subtle or overt but in general, include tactics to limit the partner's access to assets or conceal information and accessibility to the family finances. As with other forms of abuse, financial abuse may begin subtly and progress over time. It may even look like love initially as abusers have the capacity to appear very charming and are masterful at manipulation. 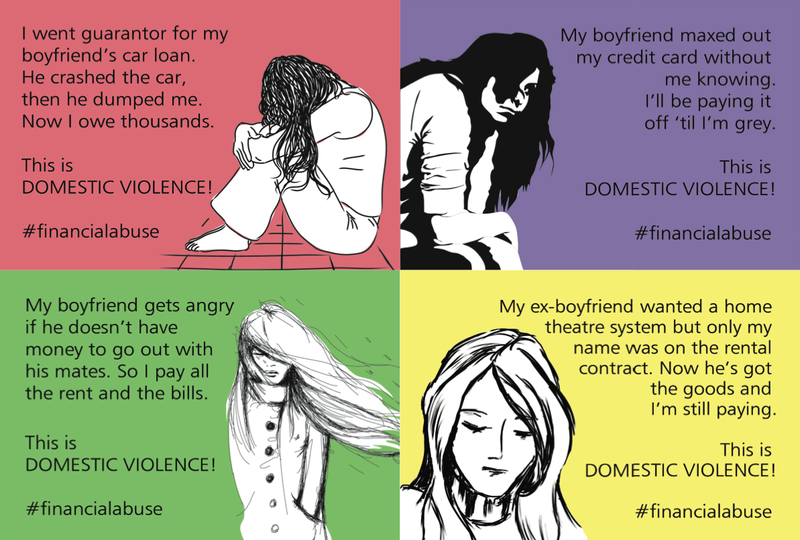 Financial abuse, while less commonly understood, is one of the most powerful methods of keeping a survivor trapped in an abusive relationship and deeply diminishes her ability to stay safe after leaving an abusive relationship. Research indicates that financial abuse is experienced in 98% of abusive relationships and surveys of survivors reflect that concerns over their ability to provide financially for themselves and their children was one of the top reason for staying in or returning to a battering relationship. As with all forms of abuse, it occurs across all socio-economic, educational and racial and ethnic groups. 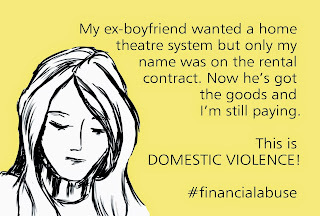 Financial abuse is a common tactic used by abusers to gain power and control in a relationship. The forms of financial abuse may be subtle or overt but in general, include tactics to limit the partner’s access to assets or conceal information and accessibility to the family finances. Financial abuse along with emotional, physical and sexual abuse, manipulation, intimidation and threats are all intentional tactics used by an abuser aimed at entrapping the partner in the relationship. 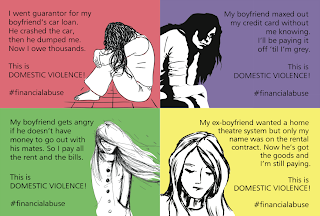 In some abusive relationships, financial abuse is present throughout the relationship and in other cases financial abuse becomes present when the survivor is attempting to leave or has left the relationship. This information is an excerpt from National Network From Domestic Violence. I share this information for benefit of all women who have, or are experiencing, Financial Abuse because it is devastating. This is how myself, Megan and Melissa were (and still are for Melissa and I) financially abused by the same abuser. It is devastating. While the abuser preserves his finances and spends lavishly on himself, he economically cripples the mothers of his children. 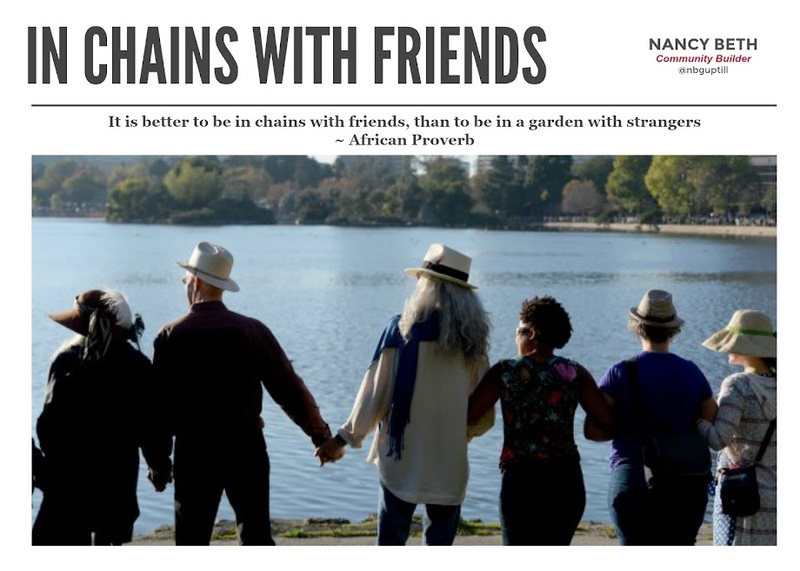 He initially financially and economically abused all of us by credit card abuse, running up bills on joint accounts, and not paying his debt, leaving all three of us to pay what he owes. Two of us have children with him, so now the abuser continues financial abuse by refusing to provide employment and income information to determine proper child support, refuses to disclose key material information on the value of the home, hides his assets, refuses to pay his debt from racking up credit cards and joint accounts, refuses to provide basic needs for the children, and evading child support and manipulating the court processes. He avoids his financial responsibility to his children, and if it were not for Child Maintenance programs he would completely abdicate his responsibility all together. I share this information because of the many women who have come through the Live Your Dreams Love Your Life program, and hearing first hand accounts of financial and court abuse and seeing how devastating it is for these women and children. As stated above, in 98% of situations, there are other forms of abuse the women are experiencing. It reminds me of the struggles my daughter and I had to endure during key foundational years of raising her. I sheltered her from much of what was going on. She is now 18 years old, in her first year of university, received scholarships and achieved many milestones quite successfully. I was fortunate enough because I had employment and a supportive family to assist us, many women are less fortunate than I. Some women are forced to stop working because the cost of daycare for 2+ children is far too expensive for a solo-income household. While the fathers are out spending lavishly on themselves without the financial responsibility of raising the children, while also being absent parents, the mom`s are left with a heavy burden. Many of these fathers are healthy minded, out of spite, they simply refuse to properly support their children. They refuse to cooperate with child maintenance programs by refusing to disclose where they work and how much they earn. After seeing in the news that here in Canada in 2014, we have an epidemic of children living in poverty, with 38.9% of these children coming from single mother homes, coupled with seeing the coverage on Three Oaks Senior High needing $10,000 for the Lunch and Breakfast program .... I can no longer be silent on this issue. I understand the challenges young mothers face as their story is my story. I understand there are fathers who are struggling with addictions and mental illness so these men fall into a different category and this blog post is not directed at men who need help in these areas. I understand there are many wonderful fathers who take good care of their children on all levels including emotional, financial, physical and spiritual and I commend you for putting your family first and being there for your children. I also understand there are men who are being financially abused themselves and the mothers are taking advantage of their situation. This blog post is not about those fathers, this post is directed at fathers who are of sound mind and body, who consciously make decisions that are self serving and meant to punish and continue their abuse. Financial and economic abuse is one of the most crippling and is one that severely hurts the children. In my case, an 18 year battle that includes fallacious / malicious court cases coupled by multiple court cases by child maintenance programs, law enforcement involvement for contempt and failure to comply with court orders, the cost of court proceedings paid by the public purse. There`s a whole other side of cost that tax payers need to consider. I would really love to know how much his file has cost taxpayers in my home province and his, for being in child maintenance systems since 2003, yet still in excess of $18,000 child support arrears. The salaries of the staff, the salaries of the judges, lawyers and court clerks, the cost of law enforcement, etc. I used to get upset with the system, but have come to realize they really are doing their best in trying to deal with these financial abusers who are also con artists, sociopaths, and self-serving pathological liars. Society has unfortunately made it far too easy for fathers like this to abdicate their financial responsibility to their children, and in many cases, there are single mother homes where the mom and children should not be living in poverty.